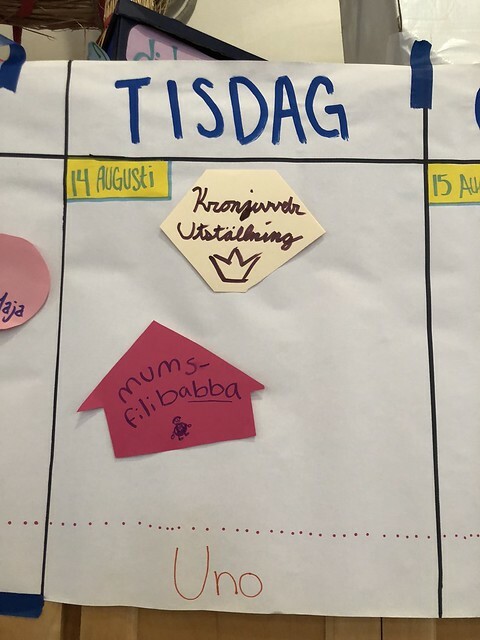 Tisdag den 14 augusti 2018 Crown Jewels: Stolen!!! In the afternoon campers went to their various intresser, which are activities that campers do for the whole week. 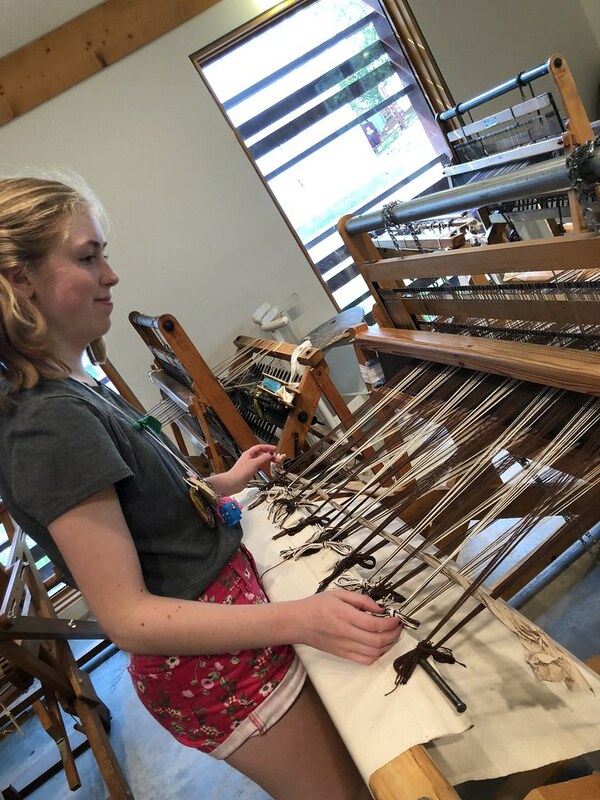 On Monday campers chose between segling (sailing), vävning (weaving), media, and sport. Be sure to keep an eye on the Concordia Language Villages Youtube page in the upcoming months, as there may be some footage featuring your children in these intresser! Thankfully the weather cooled off a bit compared to the heat that we had a few days ago, so it was a really nice day to lounge around. In the evening we discovered what had been hinted at all the day: the crown jewels were stolen (just like real life!)!! Campers then had to figure out who was responsible for taking the crown jewels. 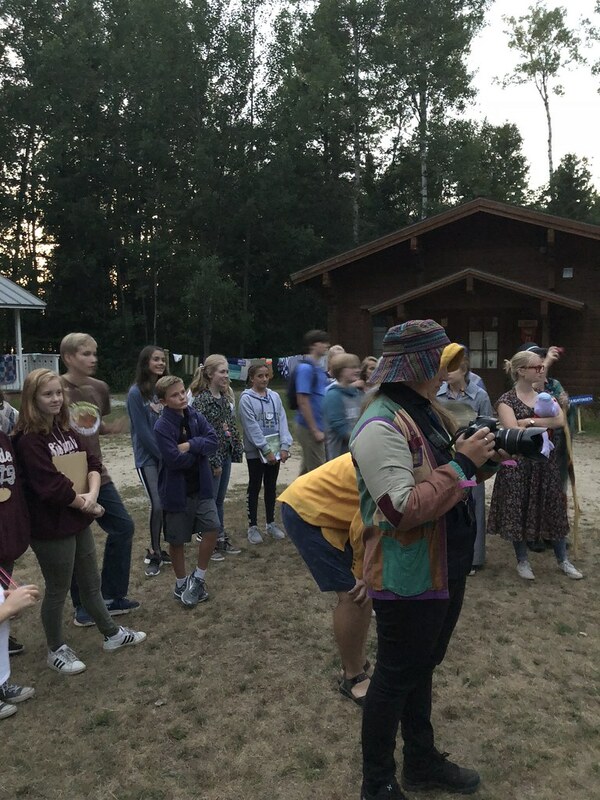 Counselors were suspects and campers wandered around the site asking questions about clothing, careers, and appearance (so they tested their Swedish skills as well as had fun). 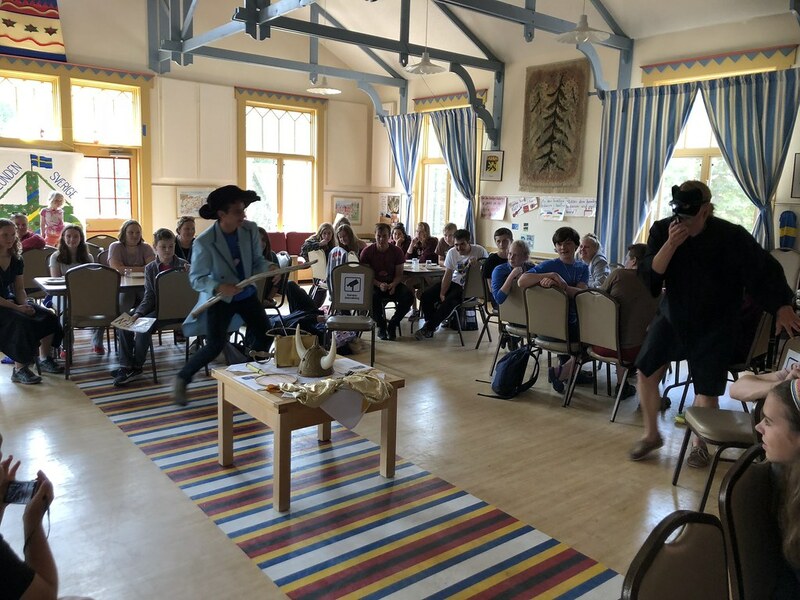 In the end, the thieves got away via speed boat even though they “crashed” their car, but campers had a ton of fun and were still talking about the program the next day!